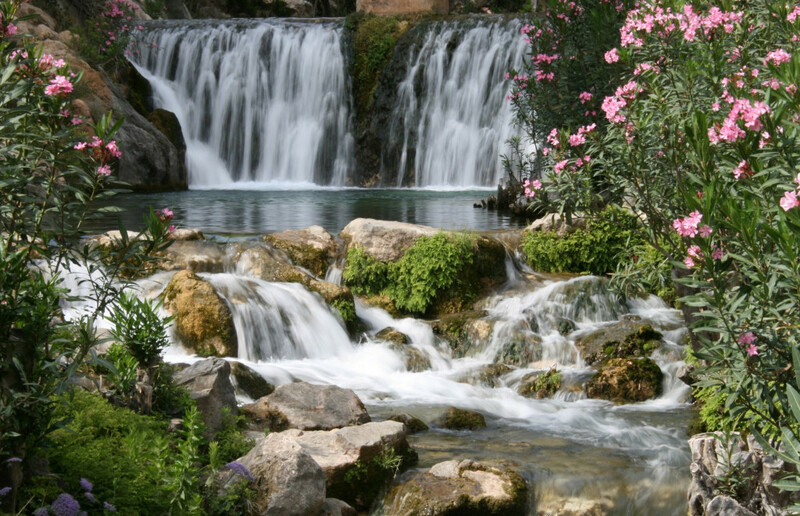 If you are planning a visit to Benidorm and surroundings you cannot miss the natural beauty of the Algar Waterfalls. Known as Fonts de L'Algar, this is an amazing place to see, located only 15 km from Benidorm and 3 km from the city of Callosa d'en Sarrià. This natural area of naturally occurring waterfalls contains a high ecological richness and is a wetland protected by the Valencian Government. Visitors can take a route through a circuit of 1.5 km in length along the bed of the river Algar (meaning "cave " in Arabic), admire the spectacular waterfalls and the numerous sources springs that spring from the rock, and take refreshing swims in crystal clear waters. There is also an environmental museum and botanical garden which displays a vast array of different cacti species. Visitors can enjoy a variety of services including a Tourist Office, parking area, souvenir shop, first aid facilities, toilets and camping area, as well as a few restaurants situated nearby. Walking through this picturesque paradise is a breathtaking experience not to be missed when visiting the Costa Blanca in Spain.